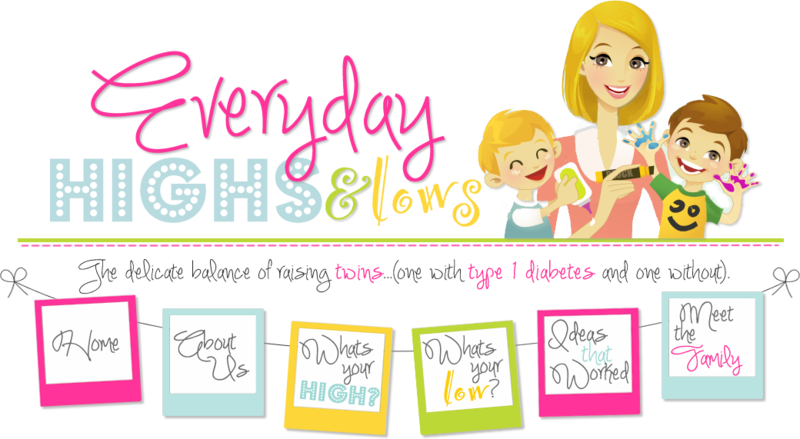 Everyday Highs and Lows: getting ready for a great cause! Actually, surprisingly, he kind of likes it. I should have known. Rocco is always up for an adventure. You could take him to an open field to pick up random garbage that had blown there and he would make up some story where he and Zeke were on a secret mission to clean up "THEEE WHOOOLE WOOOORLDDD!!!!" I should have known that being an advocate would suit him. Just another adventure in his eyes! Our latest adventure is the JDRF Promise Ball, scheduled for early May. 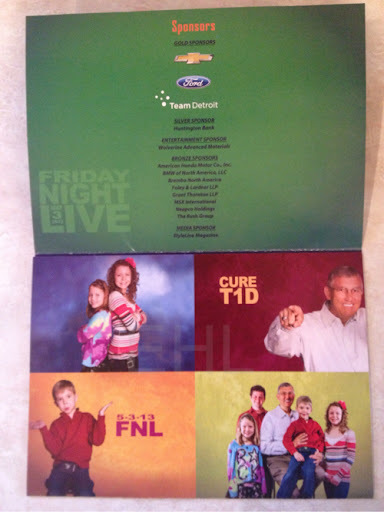 We are very flattered to be one of the families in the video they will show during the event! Click here to see the post where we made the video! In the video, my father-in-law, Rocco, a nice young man and two of the sweetest sisters you will EVER meet will explain what it is like to live with Type 1 diabetes every day. I instantly bonded with the mom of the sisters while making the video. When you meet another D-mom (as we like to call ourselves), it is pretty much an instant connection between kindred spirits. Warriors who are fighting in the same battle. This mom was wonderful! It was a double bonus because she is also a blogger and she shares her experiences of raising not one but TWO kids with Type 1diabetes. You can read her blog at www.naturallysweetsisters.com! 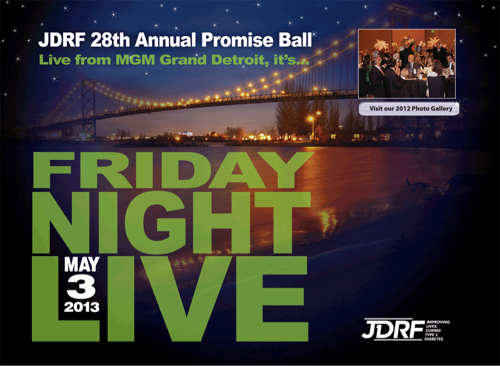 The Promise Ball is a black-tie event sponsored by JDRF to raise money for the Artificial Pancreas Project. JDRF has made the development of an artificial pancreas a research priority because of its potential to revolutionize diabetes care. It is an honor to be able to share our story in support of this important initiative. Of course, we will still be focused on an actual cure, but this is a great next step until the cure is found. When the artificial pancreas device is perfected, it will directly impact Rocco's future, hopefully as soon as when he goes to middle school! 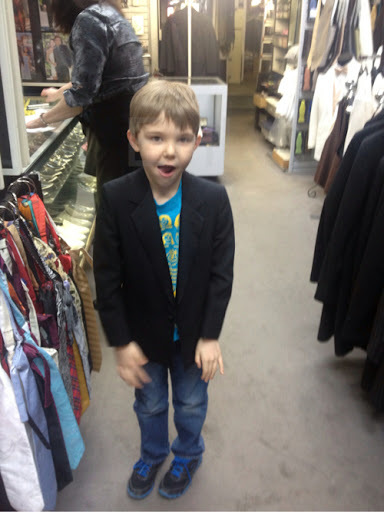 Plus, I get to dress the boys up in tuxedos! I know... not AS important but still super fun! 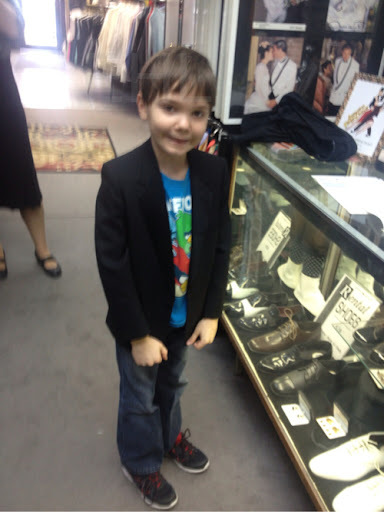 The other day we went to the tuxedo store and the boys picked out their styles for the tuxedos and the ties. 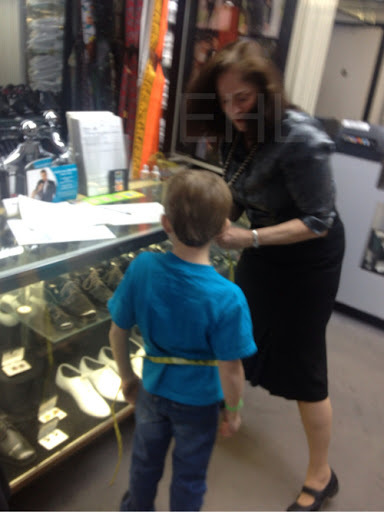 Zeke asked for a long tie, of course (more professional and less attention drawn). Zeke does not like too much attention. Rocco opted for a bright green bow tie. He loves green! It is very exciting to be part of a process that will benefit Rocco and tens of thousands of others with Type 1 diabetes! Thanks to Susan Kossik of JDRF for the opportunity! If you would like to make a donation to Rocco's page, here is the link! Thanks for always being so supportive. Rocco really appreciates it! Me too! This is the flyer that came in the mail. Rocco and his grandpa were on it! 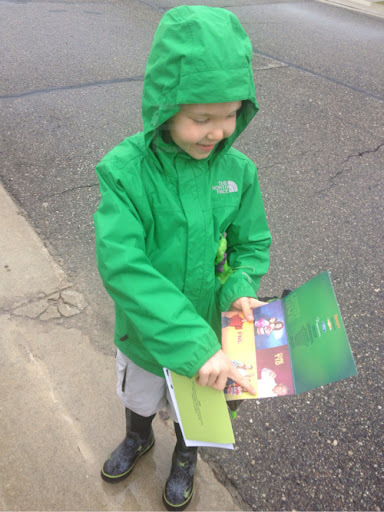 This is Rocco getting it out of the mail! How fun! Thanks for the shout-out Shari! The Naturally Sweet Sisters are getting so excited for the big night! Is it terrible that I haven't even thought of dresses or tuxes or any of the like? Not only are you inspiring with managing type 1 diabetes, but also with getting me going on finding some party duds!!!! Hugs and see you soon!